With the Honda Civic Type R, the Japanese car manufacturer, returns to the segment of compact sports cars. With its 310 hp 2.0-liter four-cylinder VTEC turbocharged engine, short shift paths and a high speed of 270 km/h the Honda is the sportiest Civic ever – VTEC just kicked in, yo! The damping characteristics that was determined after numerous driving tests on the motorway, country roads and on the KW 7-post rig, significantly improve the performance of the Type R.
Drivers with a KW coilover suspension kit installed benefit from our sustainable technology transfer from motorsport to the road. Compared to the other Civic models, the differences to the new top model are enormous. For example, the Honda features, a stiffer body and also a double-axle front wheel suspension with two axle journals, which are also used in the Astra OPC, Focus R.S. or Mégane R.S.. This minimizes the drive influences on the steering. Axle stubs and strut are separated at this axle construction in order to keep the ‘torque steer’ low at high-torque front wheel drive vehicles. 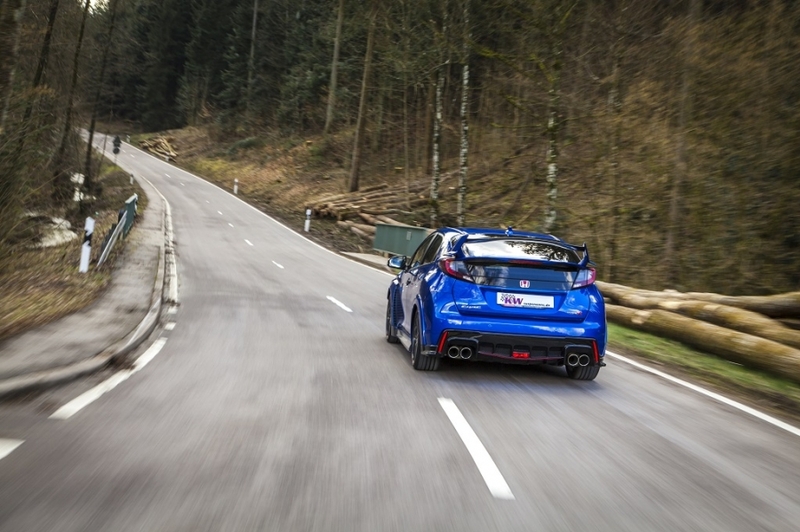 With our Variant 3 coilover suspension, the Type R becomes an even more agile sports car. Similar to the KW suspensions in motorsport, the Variant 3 has an independent rebound and compression damping adjustment. The KW recommended damper basic setup can be changed individually by the driver. For example, take into account the handling with changed wheel / tire dimensions, the rebound can be changed with 16 clicks. “If the rebound valves are further opened, the ride comfort when driving slowly is increased – in case you want it. 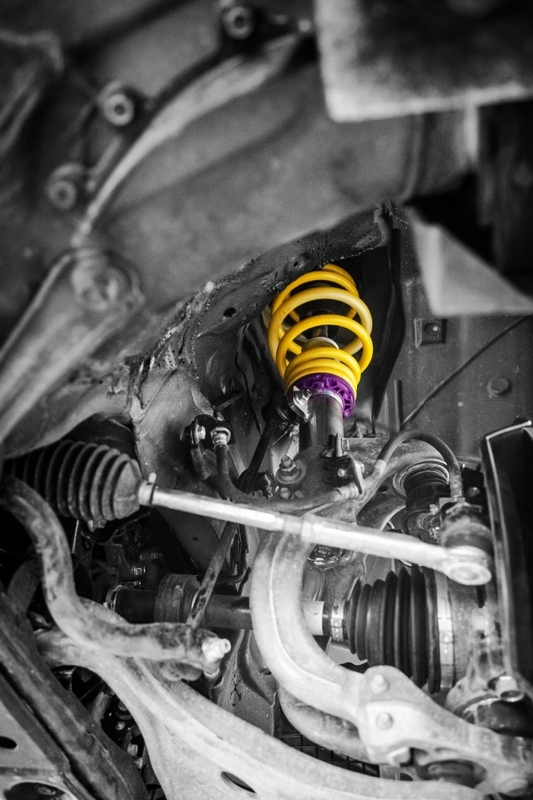 The purple click wheel (compression adjustment) is integrated in the stainless steel strut or rear axle damper housing. By changing the compression damping, it can specifically influence the body roll, without having to change the spring rate that perfectly matches the rebound. The twelve clicks of the compression damping also affects the tire grip, directional stability and handling characteristics. The Variant 3 harmonizes well with the driver assistance systems such as the Honda Agile Handling Assist (AHA) and the Electronic Stability Program (VSA). A continuous lowering of 15 to 35 mm at the drive axle is adjusted directly on the stainless steel strut. At the rear axle, a lowering in the range of 5 to 25 mm can be carried out. You’ll find all our product information about the KW coilovers for the Honda Civic Type R (FK2) at our websitewww.kwsuspensions.net. Soon we also will have our KW Clubsport coilover available for the Type R.